It’s been a very, very long time since I wrote on this blog. Mainly because most of my pre-Christmas moments of Lara-free time were spent wrapping every present in sight (with the inevitable result being that all the sellotape on all the name tags failed by Christmas day and we very nearly ended up in the awkward situation of my sister’s new boyfriend unwrapping an Iggle Piggle doll.) But really mainly because I’ve been struck down with a lurgy, the likes of which find one lying on one’s side of a 3am, emitting a strangled, dying-cow like parody of breathing, not-so-silently hating the man and child hatefully sleeping so hatefully peacefully nearby. Then, of course, said child caught said lurgy and after a few nights of traipsing back and forth from her cot with water, tissues, calpol, vapour rub and anything else I could come up with which might render her unconscious once again sometime before 5am, I was far too exhausted to do anything during the day apart from lie on the sofa, sniff and work my way through all the Christmas chocolate. But anyway, excesses of mucus and sugar aside, the latest issue in this game of parenthood has been walking. Or, as I like to put it, Lara Taking Her First Steps and then Sitting On Her Arse and Refusing To Take Any More. Lara was a fairly late crawler, or so it seemed at the time. She spent a good two or three months on all fours, a look of heavy concentration on her face which would rapidly turn to despair as she would slide onto her belly and propel herself backwards, usually ending up underneath an item of furniture, dusty and displeased. She first managed that very slow and unsteady crawl forward a day before she turned 10 months. From that moment on, she was a baby on the go. In about a week she went from doddery, sideways-deviating, Cardiff-girl-on-a-hen-night crawling to a baby-shaped bullet on all fours. So, I assumed that once walking became a reality, she would be the same – master those first independent steps and then voila, walking baby. Nearly two months later and it’s all we can do some days to get her to repeat those few independent feet. Her development hasn’t halted – she’s now able go from sitting to standing on her own and walk from there to a point of ‘safety’ sometimes around five or six feet away. Everything else is perfectly normal, as verified by my usefully-vocationed paediatrician sister (apart from the size of her head, which is apparently on the large size. Possessing the birth canal through which it made a memorable journey not so long ago, I find this revelation slightly redundant.) She just hasn’t turned that corner between being able to walk and actually electing to do so on a regular basis. The funny thing is, if the challenge were vertical she would have smashed it long ago. 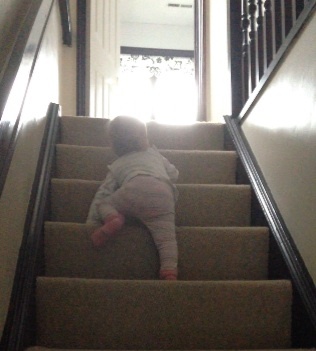 She was scaling the stairs around the time she first started crawling, and worked out how to get herself down them around a month afterwards. She can climb the steps of a slide on her own, has worked out how to put her little plastic chair next to the sofa and climb from one to the other, and can get herself down again from any height by lying on her belly and dangling her legs over the side. Why walk when you can CLIMB? It’s just the walking thing. I’m not really worried about it. 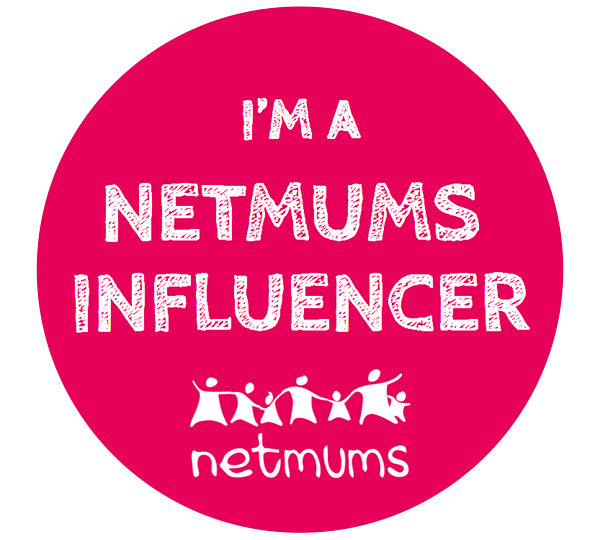 Sure, my competitive mummy instincts are perhaps somewhat ruffled as I watch her peers practically skip around her at soft play. But I know there’s nothing physically wrong… And I know that by trying too hard to encourage her to walk I could actually make her less keen to do so, so I’ve tried to back off and let nature take its course… But it is hard, especially when I have a sneaky suspicion her reluctance may be the fault of my own genes. I took her to get her feet measured the other day and she was only just a 3, which the shop assistant said was usually the size fitted to babies just starting to cruise… So she’s got tiny feet… and an enormous head. Gary has size 11 feet and always seems to find hats which fit. I, on the other hand, wear dinky size 4s and always find issue with the ‘one size’ rule for headwear. Clearly my small-footed, large-headed genes have caused a heady imbalance of stature, rendering the independent toddle a feat of terrifying magnitude for my daughter. No wonder she hugs the wall. This entry was posted on Wednesday, January 14th, 2015 at 11:30 am	and tagged with baby being ill, baby can't walk on own, baby doesn't want to walk, baby hates walking, baby ill, baby learning to walk, baby loves climbing more than walking, baby's second year, being ill, encouraging baby to walk, learning to climb, learning to crawl, learning to walk, mummy has a cold, toddler won't toddle and posted in babies, baby crawling, baby loves climbing, baby on the go, baby won't walk, being a parent, having a baby, iggle piggle, in the night garden, learning to walk, parenthood, sorry parents, toddler hates walking, toddler not toddling, walking milestone. You can follow any responses to this entry through the RSS 2.0 feed. « Toddler TV: Bedtime Ally or Root of All Evil?